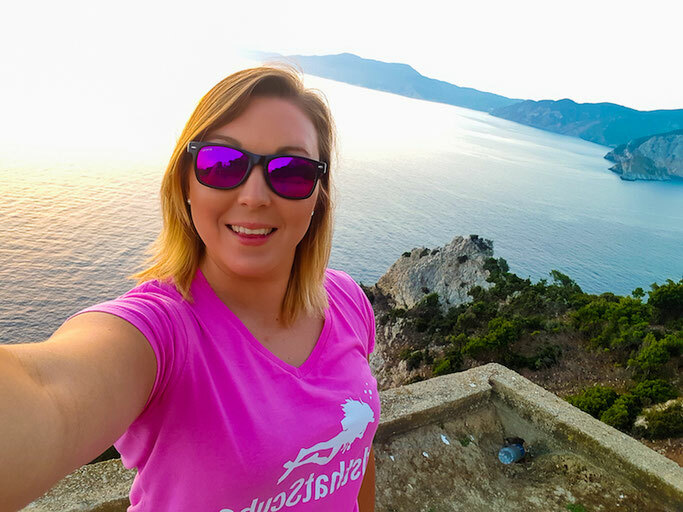 GTS visit Aloniss in Greece to scuba dive the Med! 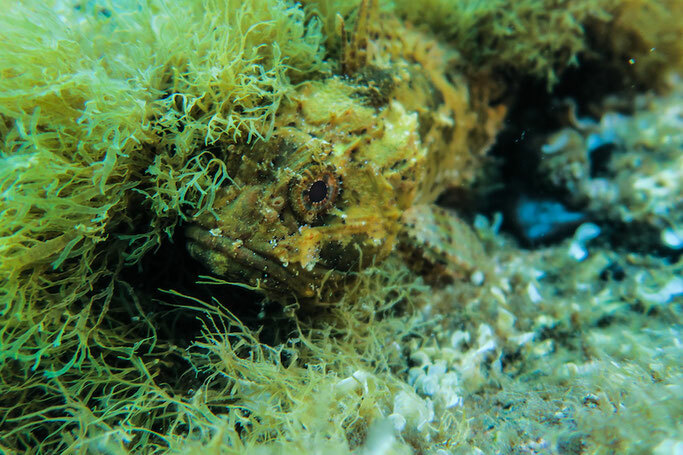 When most people think of diving in the Mediterranean, the first things that usually come to mind are fantastic viz, warm waters, some great wrecks and…. perhaps not a huge amount of marine life. Over the last 10 years as Greece has gradually come onto the diving scene, the community in Alonissos have been working hard to change perceptions and spread the word about how great diving can be within Europe’s largest marine park. 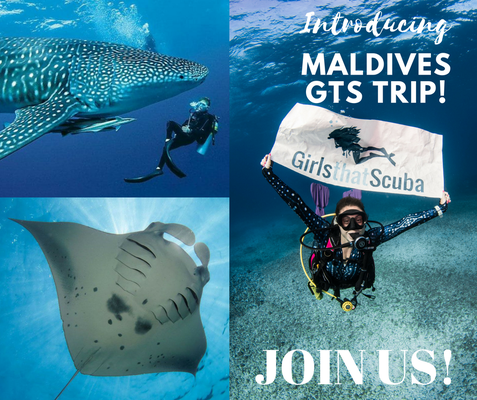 As such it was high time for Girls That Scuba to head over there to find out all of what the island has to offer. Alonissos is located on the east coast of the mainland in the Agean Sea and forms part of the Sporades islands. The easiest way to get there is by flying into Skiathos. Olympic holidays offer loads of direct flights from all over Europe, or you can hop on a short connecting flight from Athens if you’re travelling in from further afield. From the airport, it’s a 5-10 minute taxi to the port, then a ferry ride which can take between 1-3 hours depending on which boat you get on. It’s important to check the ferry schedule as there are only one or two ferries running daily, so you may have to stay a night in Skiathos. The ferry drops off in Patitiri, the largest town in Alonissos. Triton dive centre haven’t got the domain www.bestdivingingreece.com for no reason. 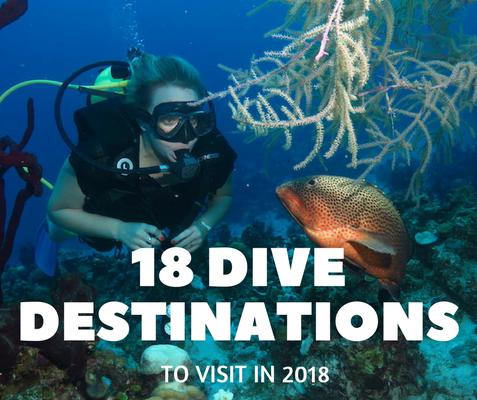 With 97% of reviews on trip advisor rating them as “Excellent” and being voted the #1 thing to do in Patitiri, this family run dive centre really are impressive. Owned by Kostas and GTS member Bessie, Triton dive centre’s shop is a 2 minute walk from the harbour and is fully stocked with brand new Mares kit as well as new tanks AND a new compressor. 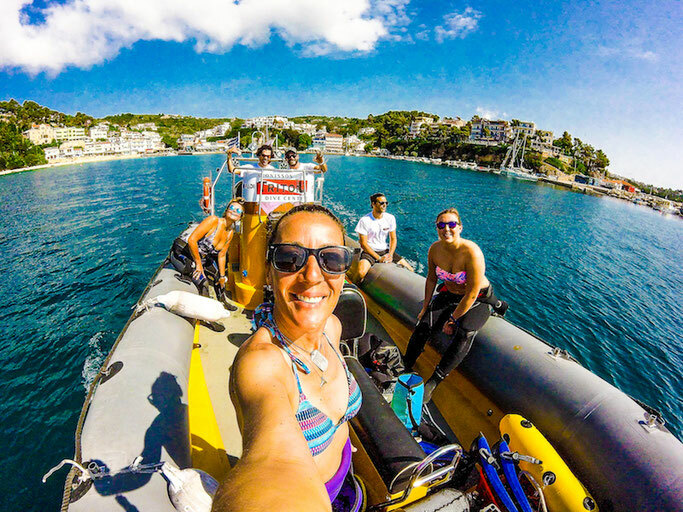 The staff are super friendly and most of them teach PADI and SSI as well as having whole host of other skills such as speciality courses, boat licenses and speaking multiple languages. Not only have these guys got the diving side of things nailed down, but they also have their own hotel, restaurant, travel agency and car/bike rental businesses dotted all over Patitiri so it’s super easy to organise a package without the feeling of being trapped in a resort. For 7 nights B&B with 10 dives it’s as little as €490 in the low season (May & October), ranging up to €690 in the height of summer. It really is the people that make this dive centre wonderful and you will immediately feel looked after and welcomed into the family. Definitely go out with them in the evenings, have a meze, try the ouzo or tsipouro (you learn to love it, honestly) and pick up a few (swear) words in Greek. The beautiful scenery of the Sporades and their rocky islets continue down under the surface making for some impressive wall dives most of which are within a 10-20 minute RIB ride from Patitiri. 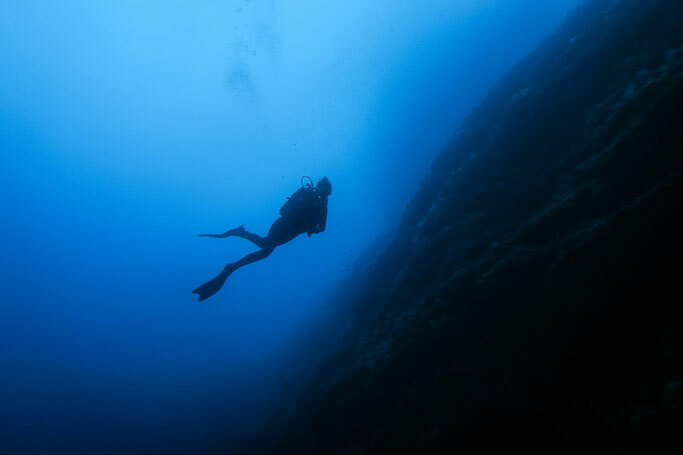 There are caverns and crevices to explore on every dive and while it is a little bit nippy in May with average water temperatures of 17-19°C (and sometimes 14°C at depth! ), water temperatures reach a tropical 27/28°C by August and September. There are several dives to do around the pinnacles of Agios Georgias, as you drop down on the western pinnacle you can descend through a hole in the rocks and swim through and out of a cavern with some amazing cap corals and sponges. At shallower depths you can find hundreds (if not thousands) of nudibranchs, which makes for a fantastic, and long, safety stop. On the west side of Mourtias reef there are moray eels, stone fish and octopus and later in the year it plays home to massive groupers. The Gorgonian Gardens is a beautiful deep wall dive which, as the name suggests, is covered in fan corals of all colours from yellows to reds to deep purples and has lots of small crabs and macro life living in the fissures of the rocks. Although we were blown out on the day we were meant to dive Two Brothers, this is meant to be another great couple of dives with a small wooden wreck and more towering walls to explore. There are also lots of ancient wrecks nearby which are currently protected and don’t allow diving, hopefully this will change over the next year or two as the team at Triton Diving Centre are currently liaising with the government to open these beautiful sites to limited numbers of boats and divers. - always bring a torch (even if you’re not going inside a cavern) so you are able to look into the cracks and illuminate the sponges and corals. - if you’re not an advanced / deep diver before you get to Alonissos, sign up to a course. A lot of the best bits here are deeper. What else is there to do in Alonissos? So it’s important to note, if you’re planning a visit you NEED to allow some time in your schedule to explore the island, its small at only 20km long and 4.5km wide, but there are some amazing villages to see. The old town is a must; park the car and walk through the tiny cobbled streets right to the top of the village to the Hayiati café for the most amazing coffee-with-a-view. Get yourself to Eleonas café and beach bar on the Leftos Gialos beach for chilled out cocktails under olive trees while you sit on sun loungers and bean bags surrounded by flowing fabrics. Definitely go to see the sunset from the south western corner of the island. This hidden gem is hard to find and very out of the way so ask Dias in the dive shop to point you in the right direction. 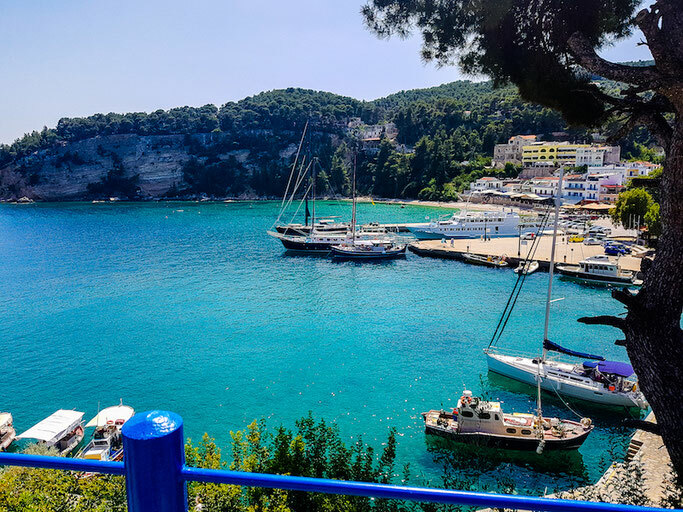 With more marine life than you would expect in the Mediterranean as well as awesome vis, Alonissos is still a very well-kept secret that’s not on most people’s diving radars. It’s a quiet island without a huge amount of nightlife; a place where you mix with the locals, eat local food and drink local drink. 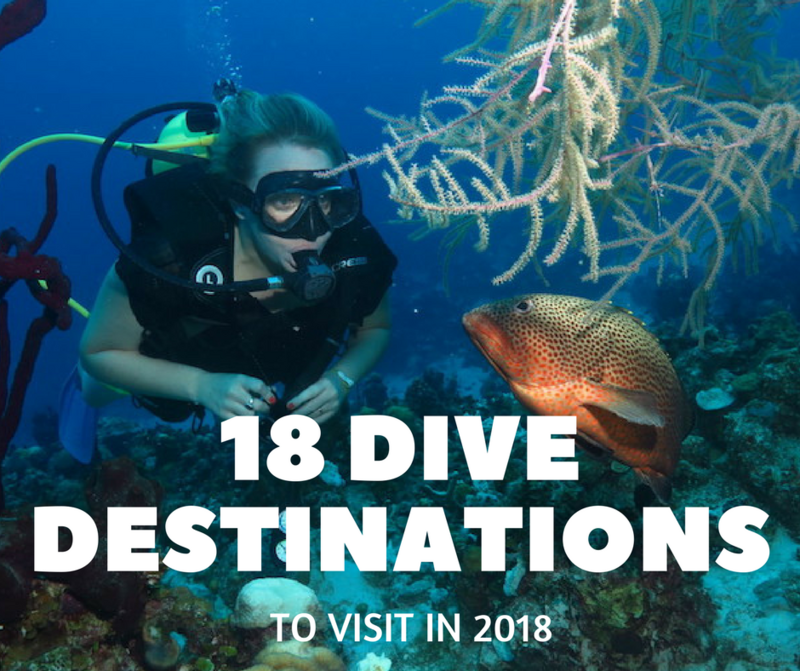 It has a lot to offer not just for divers wanting a relaxing and inexpensive break, but is a great place to bring family and children while still squeezing a few dives in. For more information in diving in Alonissos talk to the pro's at Trinton Dive Centre! Thanks for an amazing week guys!